Luxury Jewelry is interesting and beautiful. We buy pieces that we like, but our money goes much further to kindle the fire of creativity and support brand-powered causes. Designers are doing amazing things around the world. Keep reading to see who’s making headlines in jewelry news! Cartier’s latest launch called High Jewelry celebrates the Magic of Light, Design and Otherworldly impressions. These new creations use the forces of light and magic, and fantasy. 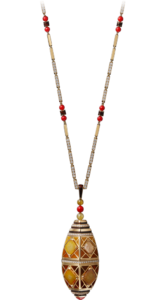 One necklace from the Magicien collection, SUR SOI Object, deserves special mention. It is a work of art from yellow gold, pique-a-jour enamel, coral, obsidian, rock crystal and diamonds. You can wear it every day and it will look great with everything. Traditional Italian designer Marco Bicego has made jewelry news since his return from Africa. His new collection is inspired by his travels among the Masai tribe living near southern Kenya and northern Tanzania. He was particularly impressed with their eye for detail expressed in the intricate ornaments they create and wear. Using 18kt yellow and white gold he has incorporated the coiled and easily stacked textured strands into natural shapes. The result is an eye catching but easy to wear collection. American Heart Association’s Red Dress fashion show and fundraiser. The stunning necklace is 18 carat rose gold with 140 diamonds equaling 12.89 carats. Hearts on Fire donates 10% of the retail price for the necklace to the American Heart Association. Hearts on Fire delicate open cut design jewelry collections are a favorite of celebrities. Chanel, always a red carpet favorite, has brought back Gabriella’s pearls in a whole new way. The Les Perles du Chanel is a collection of diamonds, feathers, platinum and gold designs integrated with classic pearls. The new contemporary designs will claim a timelessness of its own. If you were born in 1920, 1932, 1944, 1956, 1968, 1980, 2004, or 2016, Roberto Coin wants to celebrate your birth year! He has designed Cheeky Monkey, a collection designed in honor of the 2016 Year of the Monkey. 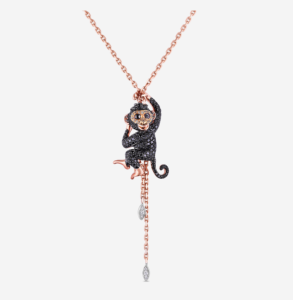 This collection literally showcases monkeys made out of black, brown and white diamonds as well as black sapphires. The charming Cheeky Monkey broach, pendant and earrings will be a home-run as an amusing birthday gift. What does the most responsibly sourced diamonds and rhino rescue in Botswana have in common? Forevermark, is the answer. Only 1% of the worlds diamonds are worthy of the Forevermark name. While most diamond sourcing companies show little concern for beautiful creatures such as the Botswana White Rhinos. Forevermore, however, is committed to help “protect the diversity of the natural world.” Forevermark supports the rescue of Botswana white rhinos in the effort to save them from extinction. Child star and later U. S. diplomat Shirley Temple received a 9.5 carat art deco blue diamond ring for her twelfth birthday in 1940. Her stepfather spent $7,210.00 on the extravagant gift. Since Shirley Temple’s passing, her ring was put up for auction with an estimated sale price of $25-35 million dollars. It failed to sell at auction because the $22 million high bid did not meet the reserve. 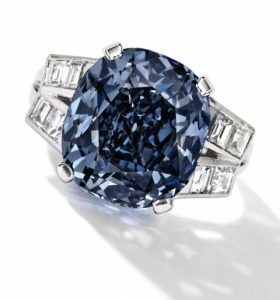 Though it’s unfortunate that this famous actress’ ring failed to sell, the offer of $22 million dollars shows an impressive return on her stepfather’s investment. Every single piece of Luxury Jewelry has value because of the beauty and workmanship that went into creating it. There is also sentimental value attached to the occasion or memory of the person who gave it to you. From an investment standpoint, luxury jewelry is a great investment because its value increases overtime. 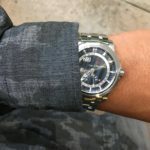 Luxury jewelry is always good news!